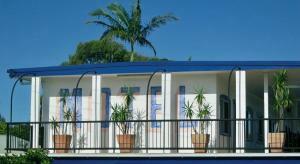 يتميز Ballina Colonial Motel بموقع مركزي في وسط مدينة بالينا على بعد 1.8 كم من نهر ريتشموند و5 كم من مطار بالينا بايرون غيتواي. ويوفر مسبحًا في الهواء الطلق ومواقف مجانية للسيارات في الموقع. توفر غرف الضيوف مرافق التكييف والتدفئة. وتحتوي جميعها على ثلاجة ومرافق صنع الشاي والقهوة وتلفزيون بشاشة مسطحة. ويشتمل الحمام الداخلي على مجفف شعر. تتوفر مواقف للقوارب وعربات المقطورات والشاحنات. يضم مكان الإقامة منطقة جلوس في الهواء الطلق مع معدات الشواء. يمكن ترتيب وجبة الإفطار وتقديمها إلى غرفتك. يقع Motel Ballina Colonial على بعد 25 دقيقة بالسيارة من خليج بايرون. يقع على بعد 4.2 كم من منتزه ريتشموند وBallina Head Lookout وشاطئ شيلي. 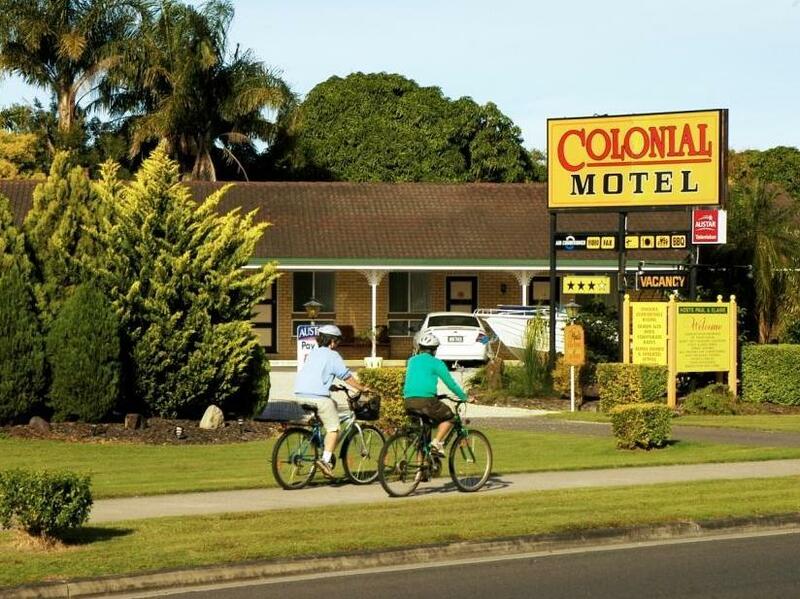 يرجى إبلاغ Ballina Colonial Motel بشكل مسبق بوقت وصولك المتوقع. بإمكانك استخدام حقل الطلبات الخاصة أثناء عملية الحجز أو يمكنك التواصل مع مكان الإقامة مباشرةًً من خلال معلومات التواصل المذكورة في تأكيد الحجز. 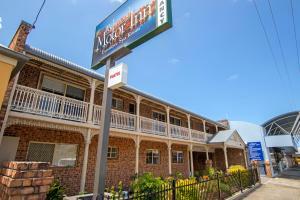 The rooms are generous in size, clean and bed is comfortable. Is in a great spot, not far from the main part of town but far enough to be quiet. Staff were great. Will definitely stay here again. Only one small suggestion would be to provide cutlery, plates/bowls and washing up liquid and sponge. Great having a microwave but need utensils. 😉 Thank you for a great stay. amazingly comfortable bed. Beautiful hot shower with good water pressure. Couldn't ask for anything more from an overnight stop over. Really good sized room. Very clean spacious bathroom. Very quiet location but close to all amenities. We stayed here for a week and were lucky enough to occupy one of the upgraded rooms. The room itself is very spacious even with a small table and two chairs, and two comfy chairs as well as the queen bed. Plenty of room to move around. The bathroom had been recently upgraded and had an enormous walk in shower with a fantastic powerful shower. The motel is placed in a location from which you can comfortably walk into the town in a short time and is one block away from a couple of very large shopping malls. Close to supermarkets so easy access to buying food, shopping etc. It is also very quiet and condusive to a good nights sleep, Owners are an ex-English couple who are very friendly and helpful. Would rate this motel highly. we enjoyed our stay at the motel the bed was very comfortable there was no excessive noise the bathroom and the shower had space to move and the staff were friendly and not pushy if you decided to sleep in or had another reason for still being in the room still when they were going around making the beds they also had lovely meals. Easy to book in, Had easy access to room. I found the staff to be easy to deal with. Very easy access to room on ground floor. Nice clean rooms and bathrooms. Fridge & Air Con already turned on.